featuring fun weekend activities for all ages. Located in the rolling hills of Wyoming County, New York, Dream Lake Campground is the perfect place to unwind and spend quality time with friends and family. Under new ownership and management, Patty and Keith Jarnot along with their children Kaleb and Makenna are excited to help make some great memories for you this summer. 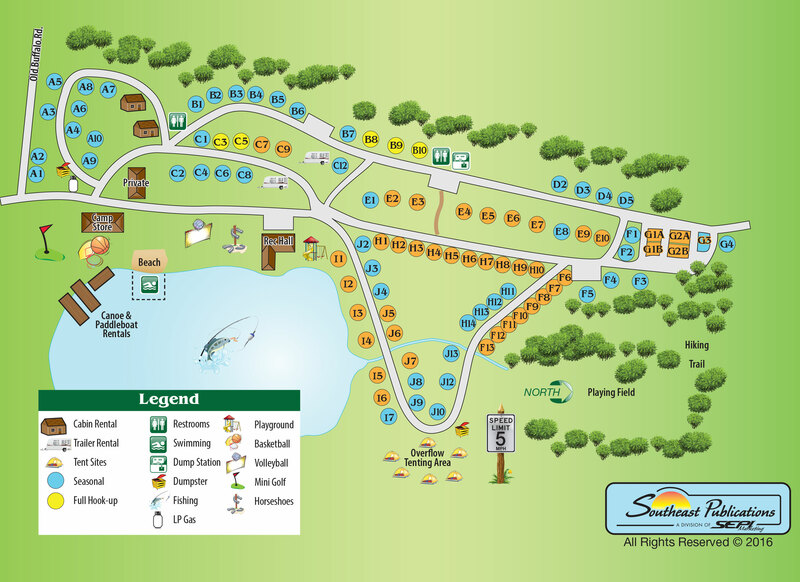 Their focus is to ensure that Dream Lake Campground is a fun, family friendly, relaxing location for you to spend a weekend or the entire summer. This summer will have weekend themes and activities to keep you entertained, but there will still be plenty of time to relax, enjoy a campfire, canoe or fish on the lake or to visit other local attractions. We encourage you to visit the remaining pages of the website to see what Dream Lake Campground has to offer you, what we have planned for the weekends and to see regular updates to our pages. We also invite you to like our Dream Lake Campground Facebook page. Finally, new this year is the opportunity to make your reservations online!